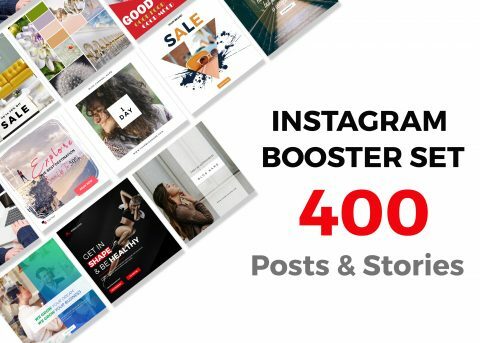 Home / Homepage / A Perfect Instagram Booster Set Of 400 Instagram Posts And Stories! Bring a professional visual experience to your Instagram account! It's a perfect Instagram Booster Set for your Insta marketing at a cost of $15 only. Buy Now! Time To Stalk Over 400 Instagram Posts & Stories! This Instagram posts and stories bundle is provided by Nifty graphics. Reselling, Distribution and Sharing is not permitted. The above images displayed are not included in the bundle. This bundle is for both Personal and Commercial use. It is an instant download deal. Start marketing your business on Instagram like a PRO! At A Price Of $15 Only!